November 27, 2016, Sun-good hospital of Traditional Chinese Medicine(TCM), ushered in a group of guests from Japan Kyushu Kagoshima. 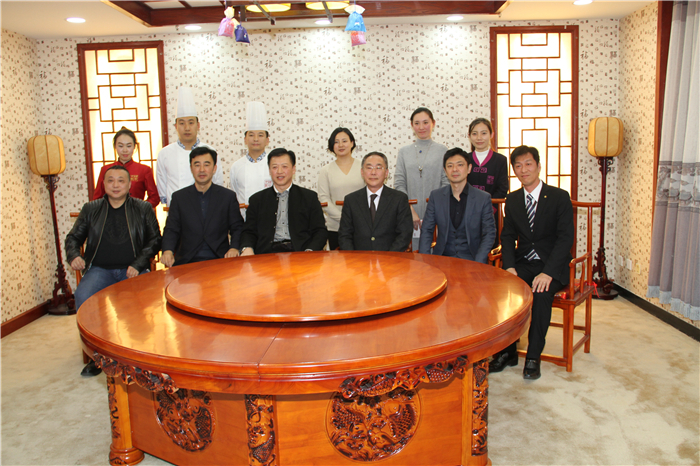 They are Japan Kagoshima City Tourism Hotel Executive Director and chef Mr. Tamura Hong Ming, general manager of Uchida, and Mr. Xu Zhaofa, President of Dalian Municipal China-Japan Economic Cooperation and Exchange Association, and other members of the delegation. 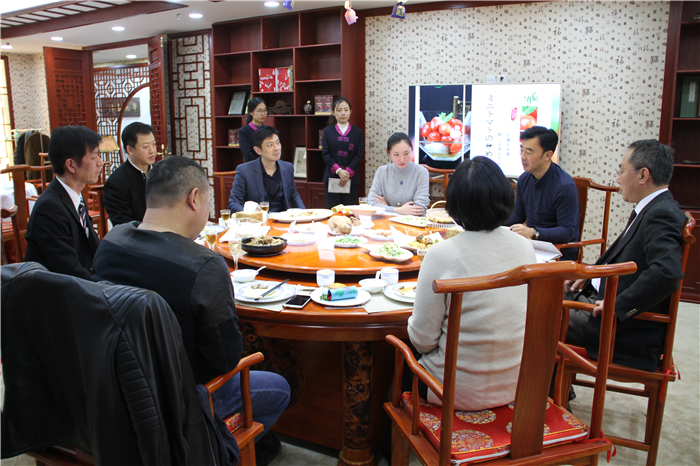 On the last day of the trip, they decided to visit the Sun-good hospital of TCM and taste herbal cuisine with Chinese traditional culture. At six o'clock in the evening, guests came to the Sun-Good Chinese Herbal Cuisine Restaurant, located on the third floor of Sun-good hospital of TCM. 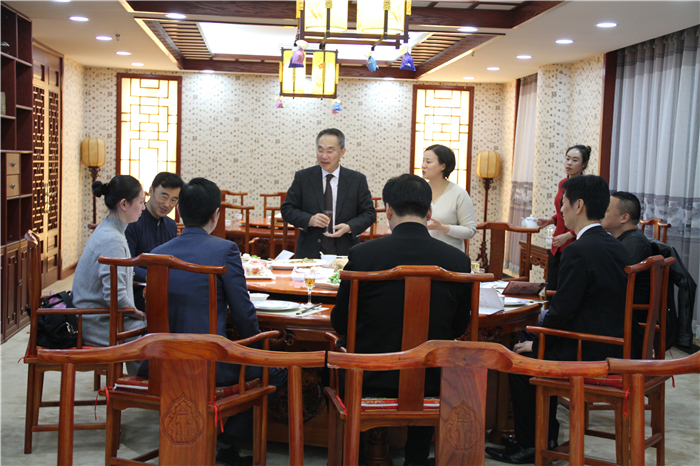 The director of the hospital, Mr. Wang Xin and the staff warmly greeted the guests. In the process of friendly exchanges, in front of the guests presented one by one exquisite medicated dishes. Divided dishes: Baked Abalone and Solomon’s Seal, Baked Shrimp and Cheese with Turmeric Powder, Steamed Sea Urchin with Chrysanthemum and Gingko. Hot dishes: Braised Magnolia Flower and Flounder, Crispy Fried Mutton with Chinese Angelica, Chinese Yam with Chops, Braised Chicken with Radix Notoginseng, Fried Mashed Shrimp with Snow Peas and Lobed Kudzuvine Root. Staple food concludes shepherd's purseroot dumplings with root of straight ladybell and pork, rose cake. Drinks conclude home-brewed dendrobe leaf yellow rice wine and pseudo-ginseng yellow rice wine. 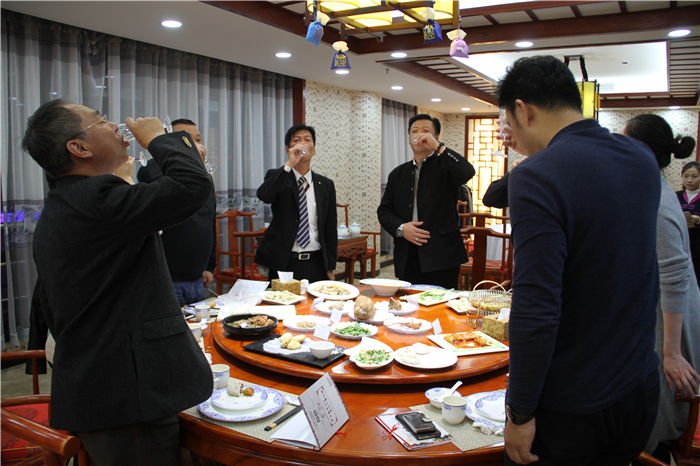 As the tasty dishes are presented before the guests, stuffs of Sun-good TCM introduced the name of dishes, the materials and its effects. The dishes gain an high approval when the guests tasted. "The Chinese food, which I had eaten in Japan before, is a taste of what it is so different from true Chinese medicated food. The breadth and depth of Chinese culture is well – deserved." Osako Kenji said. Mr. Uchida also said that he had never touched the medicated food before, and thought that the food with the herb was sure to be bitter, and could not swallow. Today, he came to know more about Chinese medicated food.